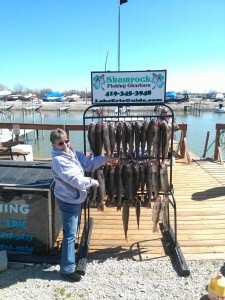 "Walleye Charters on Lake Erie! 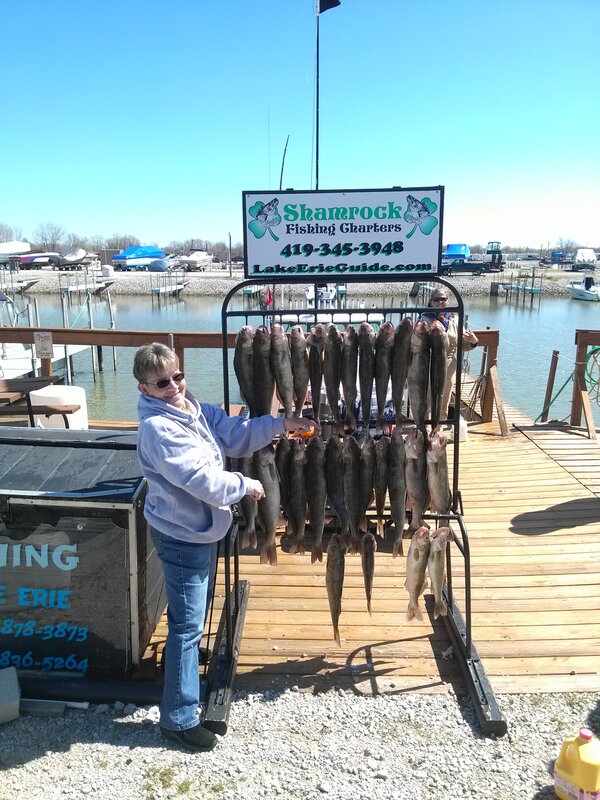 Looking for fishing charters near Port Clinton, Ohio?" 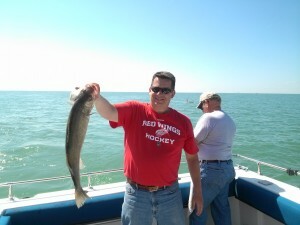 Captain John believes Lake Erie’s western basin walleye fishing is the absolute best fishing anywhere in the world. Because of its various depths, reefs, and islands, he can modify proven fishing techniques to match the weather and water conditions. More walleye charters run out of this area of Lake Erie. Therefore it has earned the title of Walleye Capital of the World!! How good is the walleye fishery in Lake Erie? The walleye harvest set records in 2018, according to the Ohio Department of Natural Resources. And it’s looking just as great in 2019. You will mostly catch abundant 4 to 5-year-old walleyes that will average 17 to 21 inches and could be as large as 26 inches. Lake Erie’s western basin walleye fishing is great fun because these fighting fish run in large schools therefore when one hits, it’s not unusual to have others fishing in the boat to hook another walleye at the same time! When this occurs the fishing excitement can be non-stop for hours!! 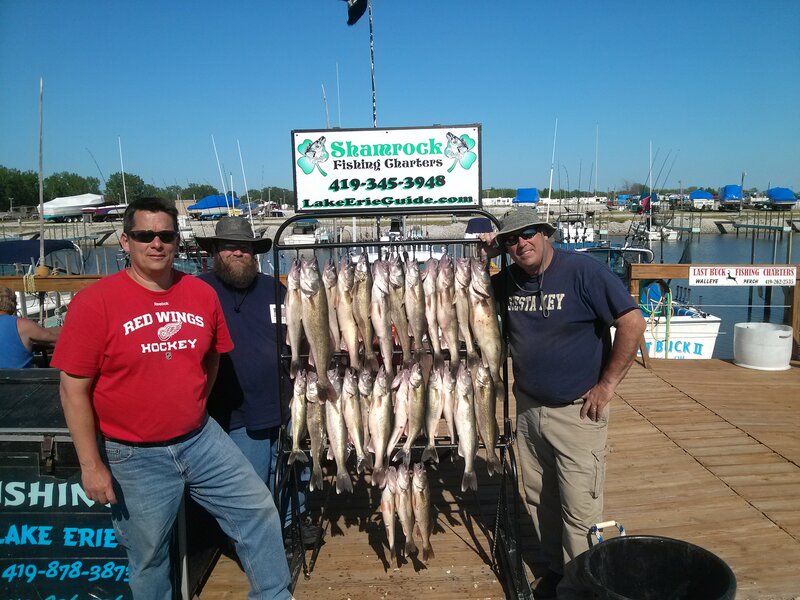 Whether drifting for walleye or trolling for walleye, he matches the fishing technique to Lake Erie’s water conditions, therefore, we put as many walleye in the cooler as possible!! 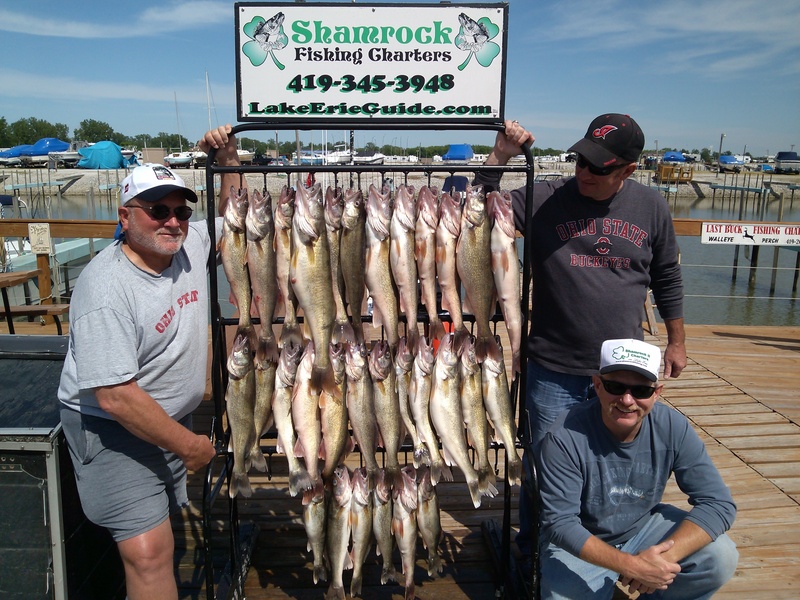 We work hard to create a successful walleye fishing adventure with Shamrock Fishing Charters, therefore, you will have the very best memories to last a lifetime!! Come join us for a great time. Bag limits for walleye: 6 walleyes P/P daily from May 1st to March 31st. April is 4 walleyes P/P daily. You Can Do It! 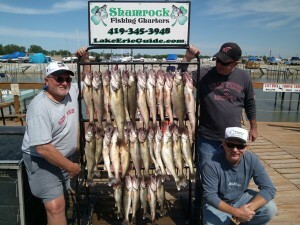 Call and Reserve your Lake Erie Walleye Charters today. 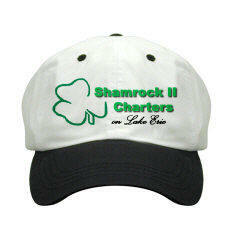 Step 1 – Make sure you check the Booking Calendar/ Charters to see if your date(s) are available. Dates marked red are booked. All dates are subject to prior booking, as well as highlighted dates have a charter booked that day. Step 2 – Select Your Lake Erie Walleye Charter – (you may bring up to 6 people or less on each trip). We supply fish cleaning, lunches, beverages, bait, lures besides your tackle and rods. Step 3 – Click the button for full payment or deposit on the charter of your choice. I will do what it takes to fill the cooler while on a trip this is mainly determined by the time of year you fish Lake Erie. We can use all the favorite fishing methods which include jigs, bottom bounces/harnesses and casting lures because we of these many options it generally translates into more fish on each charter. Jann's Netcraft has been serving fishermen since 1941. Three generations of fishermen have come to us with their special fishing tackle needs. Complete the form below and then click on "Send My Message". We will get back to you soon. We fishing for walleye, smallmouth bass and yellow perch.